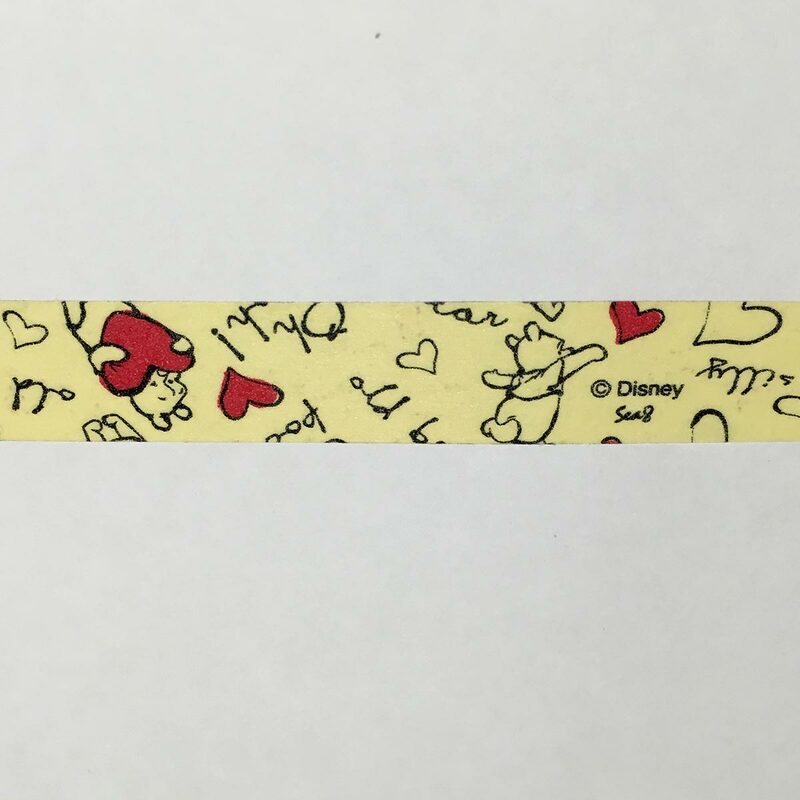 The masking tape is 15mm wide, 8m length, so you can use it to decorate notebooks or stick posters to your hearts galore. 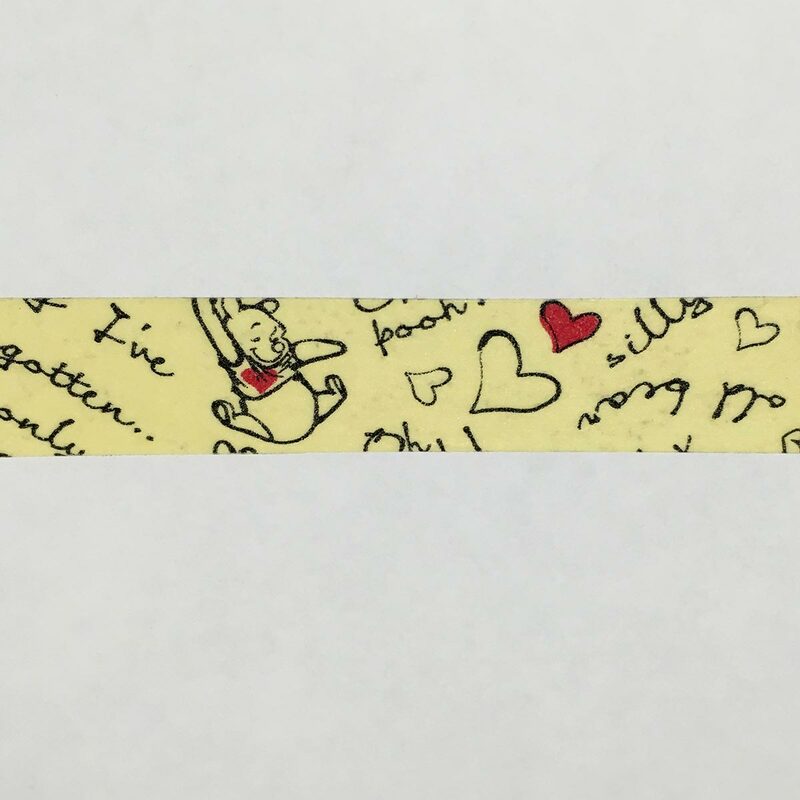 The tape colour is yellow, decorated with lots of cute illustrations of Winnie the Pooh, hearts, and handwritten text. 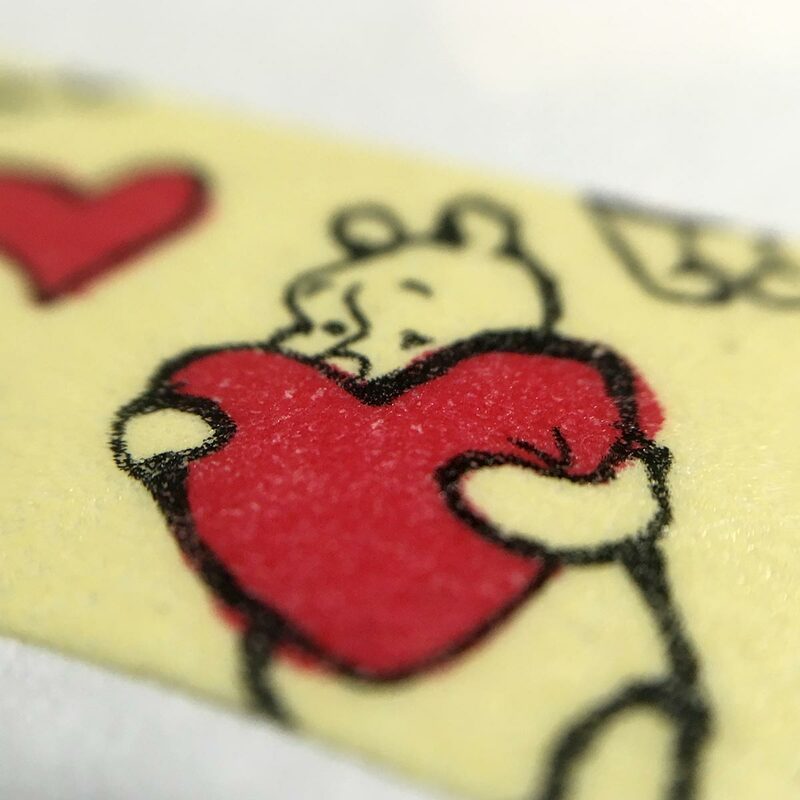 The product is licensed by Disney as it bears the seal on the back of the packaging. 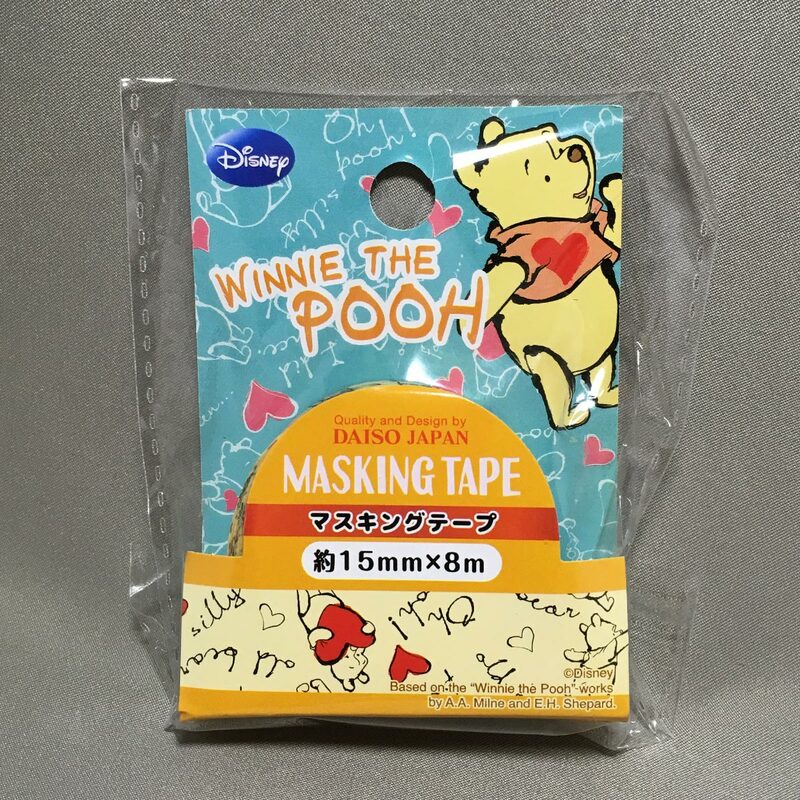 – Remove dirt, grease, moisture from the surface before applying the masking tape. 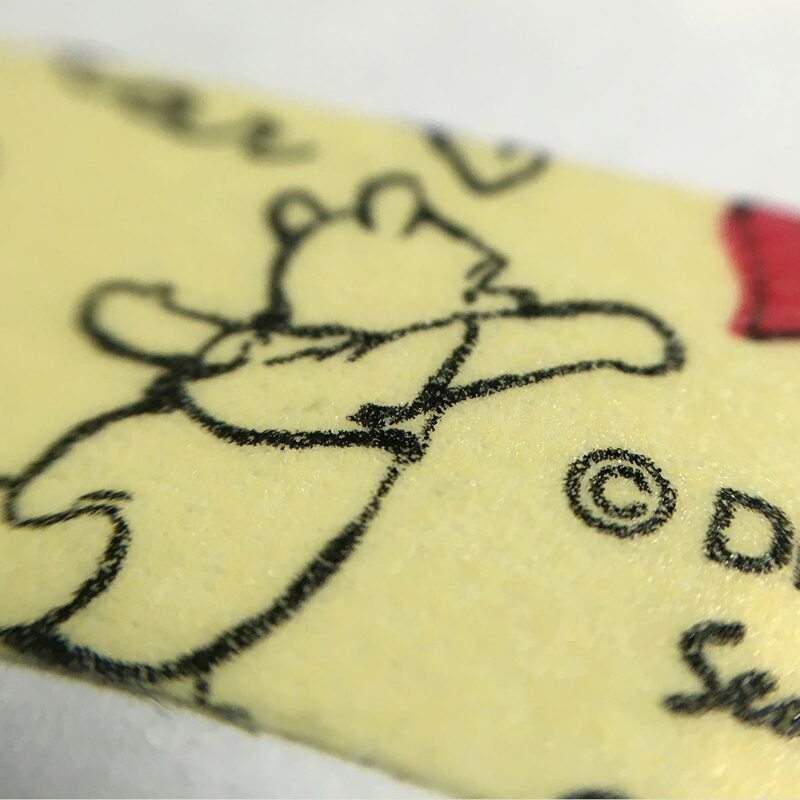 – Not suitable for water-based gel ink. 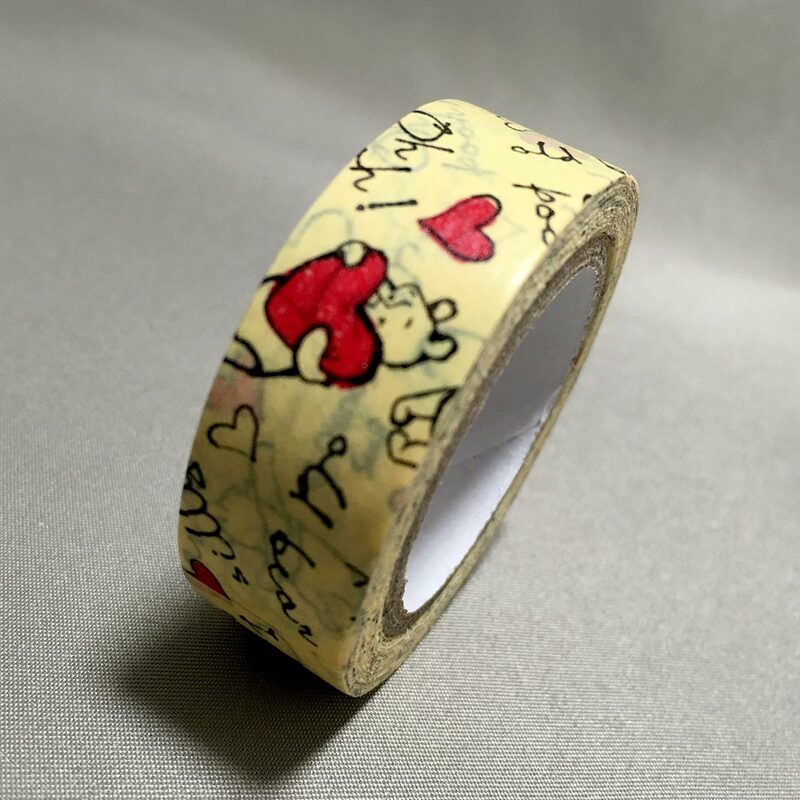 – Depending on the surface, removal of the masking tape may leave residue or marks. 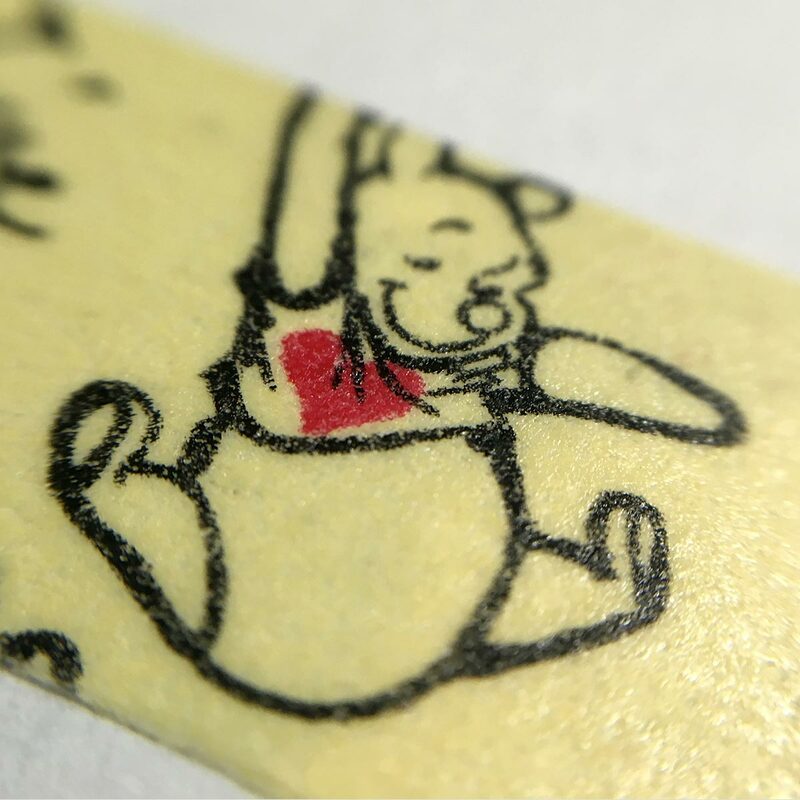 – The masking tape may have fuzzy text, differences in color, or peel off due to the properties of paper. 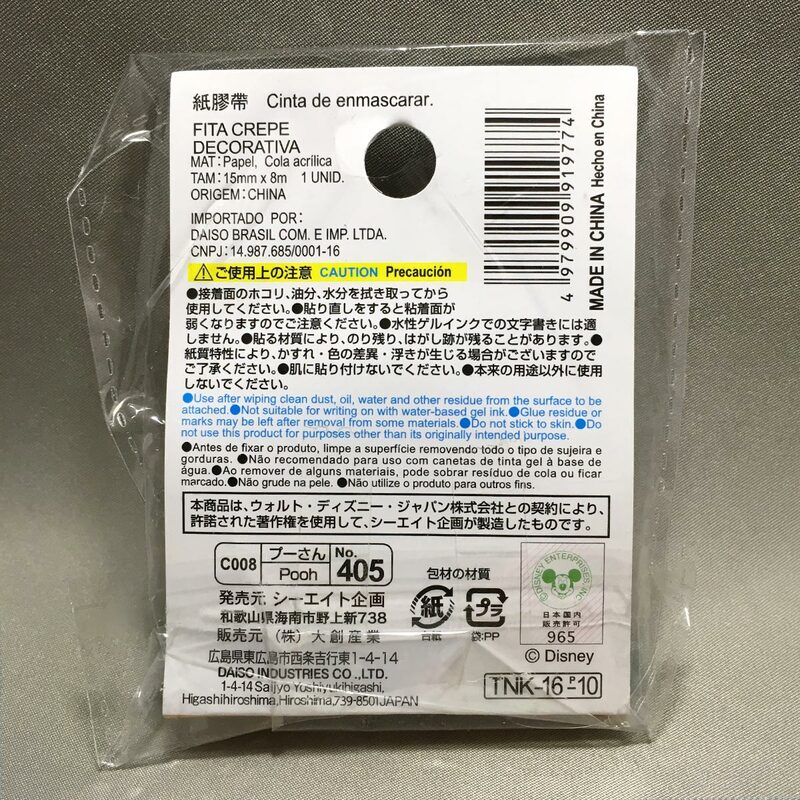 – Do not apply to skin. 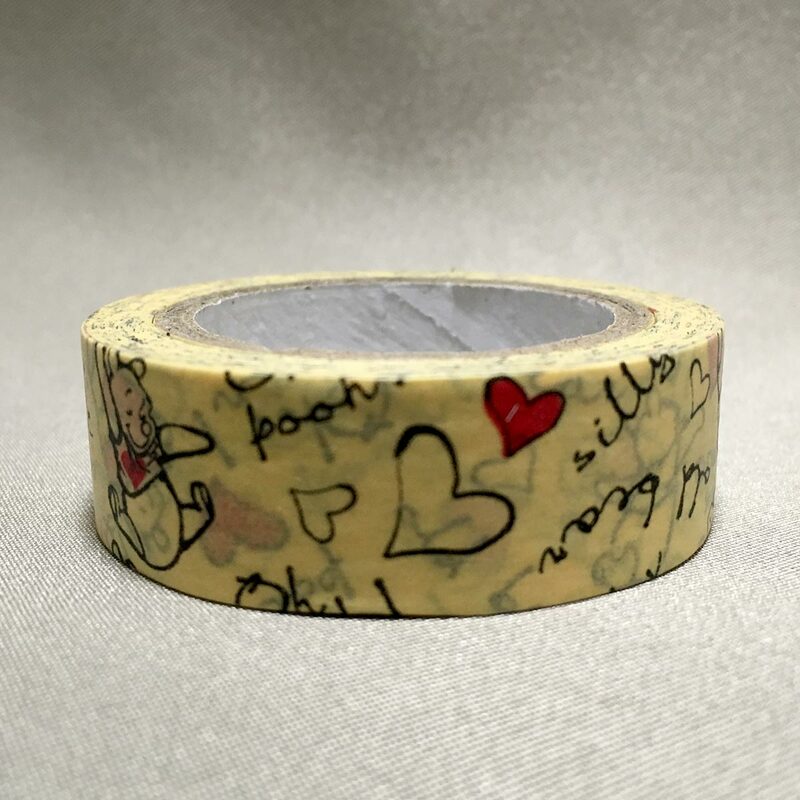 We use a lot of decorating masking tape at home to stick posters, pictures, calendars, as they usually stick well to the wallpaper and do not leave residue when removed (very important for rented apartments). 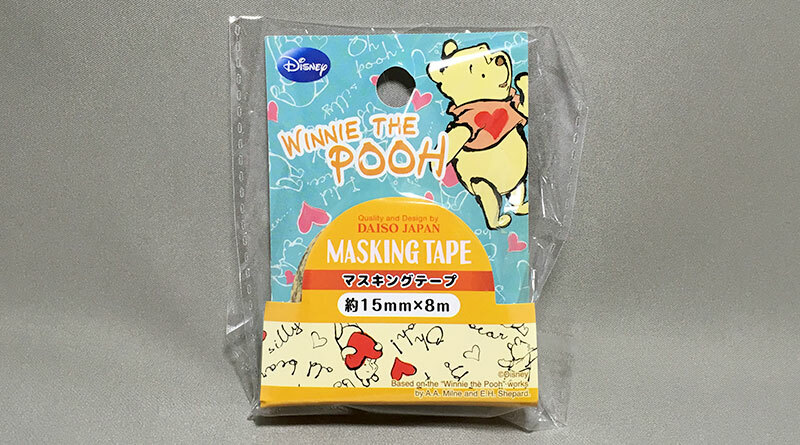 The Winnie the Pooh Masking Tape is a favourite for us as the illustrations are cute and attractive. I definitely recommend this even if you are not a big Disney fan.